Thanks to Laura Holmes for telling us about the innovative work in Stockport. The new SEND reforms in England, as described in the SEND Code of Practice: 0-25 years (2014), have highlighted the need for health, education and social care professionals to involve children and young people in decision-making processes, in particular, during the assessment, production and review of Education, Health and Care (EHC) Plans. 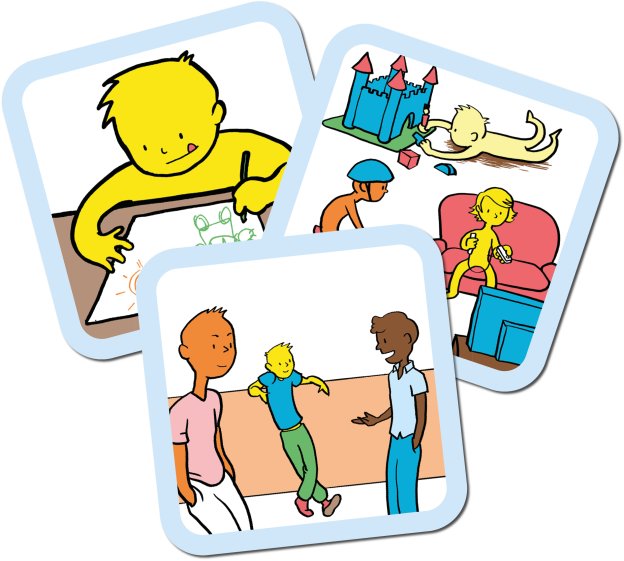 In NHS Stockport Speech and Language Therapy Special Needs Service, we have recognised this need and are in the process of introducing the Talking Mats approach to enable the children we work with to share their views and opinions – i.e. to hear the ‘Voice of the Child’. We also obtain the views of parents/carers and school staff through use of questionnaires. These views and opinions are then incorporated into a child’s Individual Therapy Plan and consequently their EHC Plan. Children with Speech, Language and Communication Needs (SLCN) can often struggle to express their views and opinions. We have found that Talking Mats is a highly effective way of gaining the views of the children and young people we work with, whether they are verbal or non-verbal. Talking Mats enables them to become involved in their own therapy planning and interventions, which in turn feeds into the EHCP process. In addition, the Talking Mats approach links well with the use of Therapy Outcome Measures (TOMS), particularly in relation to the evaluation of the general activity, participation and well-being of a child/young person. TOMS is the outcome measurement tool recommended by the Royal College of Speech and Language Therapists (RCSLT). In my next blog, I will provide an example of how Talking Mats has helped the children we work with to participate in the EHC plan process. This entry was posted in Blog on June 2, 2016 by Margo Mackay.